How gorgeous do those actresses look when they are on the red carpet and they have that smokey eyed look! Well you can get this look too and do it yourself at home. Want to know how? Here is a makeup tutorial on how to get this look any time of the day or night. Get three different shades of brown eye shadow. You can buy sets of three or you can pick your own. You will need a dark, medium and light brown. Apply some makeup primer or foundation to the lid of your eyes. This will hold the shadow in place better. Get the middle brown and apply it across your eye lid. Start from the middle and work your way out with one sweeping motion. Now choose the darkest brown and use a brush to apply that in the crease of your eye lid. This will create a bigger impact and bigger shadow. Use the light brown and blend it from your eye lid crease up to your eyebrow. This will make your eyes look brighter and more open. You can also add it as a layer to the middle brown. For a truly glamorous look, you can add some false eye lashes. This will help to make your lashes longer and fuller. If you want to go all out you can add some glitter mascara too. Invest in a blending brush. 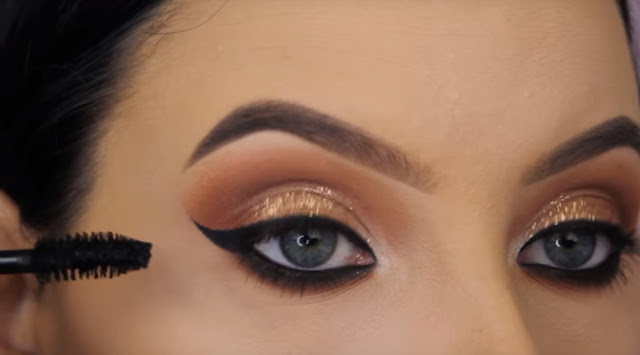 Blending your eye makeup is key when going for this look and if there is one tip in this makeup tutorial to use then this is it! Give the look a go with different shades. You can go for browns, khaki greens or even pinks. 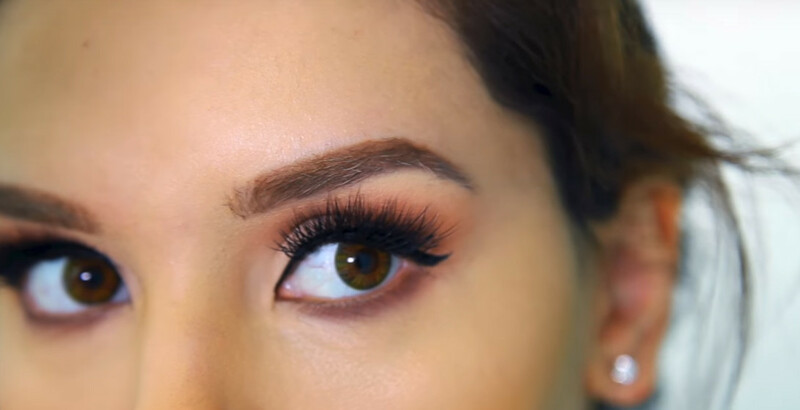 Now that you have read the brown eye makeup tutorial you should be able to get the look that everyone is after.